I didn't really know what to expect from 4 3 2 1. I went in barely having read the back cover and blurbs. I was on vacation in Sri Lanka, overwhelmed by the sounds, smells and sights of that wonderful island. The paperback was mostly there as a companion to the beach or for relaxing on a long (and sweaty) train ride. Reading on vacation is often a completely different experience than reading under a bedroom light. Vacations are often simultaneously relaxing and draining. You have time to slow down and let your mind rest. At the same time, I can't help myself planning the next stage of the trip or comparing dinner options. As my stress levels went down, I felt more receptive to literary fiction. It was as if work had muted my ability to focus and now as I huddled in my hammock, it had come rushing back. Unlike all of Auster's other work, 4 3 2 1 is a massive brick of a book. Instead of telling a single story, it tells one story four times. Archibald "Archie" Ferguson's life begins as one as his immigrant grandfather arrives in New York. His life takes four diverging but concurrent paths through mid 20th century America. For each stage of Archie's adolescence, four (or fewer) different stories are told that trace Archie from school to college and beyond. The reason for these repetitions may seem unclear or without motive at first, but a satisfying - and typically Austerian - conclusion ties up the loose ends nicely. 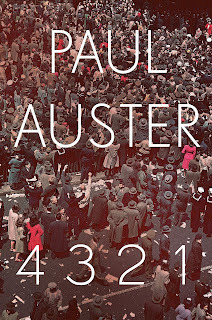 I especially commend Auster for leaving clues along the way that point toward the end without giving it away. Auster's previous work could sometimes feel like exercises in vanity. His novels would often crowd out character development for the sake of metaphysical themes like chance and subjectivity. His past works would get stuck on topics like black and white cinema, leatherbound notebooks or obscure writers and while that often served a purely literary purpose, they also interfered with the plot. 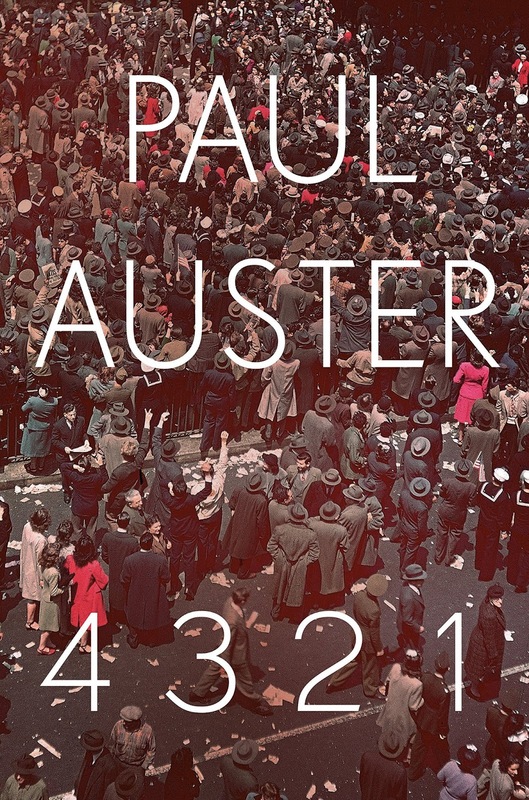 The plot (mostly) takes center stage in 4 3 2 1, which makes it Auster's most conventional and approachable work. This also showcases his previously less visible talents as a storyteller and yarn spinner. 4 3 2 1 is breathtakingly excellent throughout, and without the small hiccups around the middle of the last third, it would be remembered as a masterpiece of the 2010s with the likes of The Goldfinch. An interesting thing about 4 3 2 1 is that it has immediate rereading appeal, unlike almost any other book that I've encountered (excluding my adolescent fascination with all things Lord of the Rings). Because it is structured around phases in Archie's life, the next logical step would be to read the stories of the different Archies in character-centric order instead of chronological order. Reading four versions of the same adolescence messes with your head in a satisfying way and has readers looking for similarities between the Archie who lost his dad to a fire and the Archie who's father is a misanthropic millionaire. Mixing up the chapters and focusing on one incarnation of our hero would create a series of more conventional mini-novels. What I loved about 4 3 2 1 was that it doesn't need to cheat the reader to be as good as it is. It's an excellent novel even without the trickery of the multiple Archies. Chapters are vivid but concise as they draw Archie's life in varying contexts. He's rowdy and inspired, then he's gloomy and sexually frustrated and then he's a young author with a name for himself. His parents support him, then they don't. His family disintegrates and then, in other circumstances, it doesn't. All these instances are there simultaneously, creating a comprehensive character study, across a universe of Archies (and Amys, Stanleys, Roses and Celias). It is hard not to be enchanted.